“With a shortage of psychologists and other mental health professionals in rural and remote areas, the role of rural doctors in providing mental healthcare is already absolutely critical, and is becoming more so. 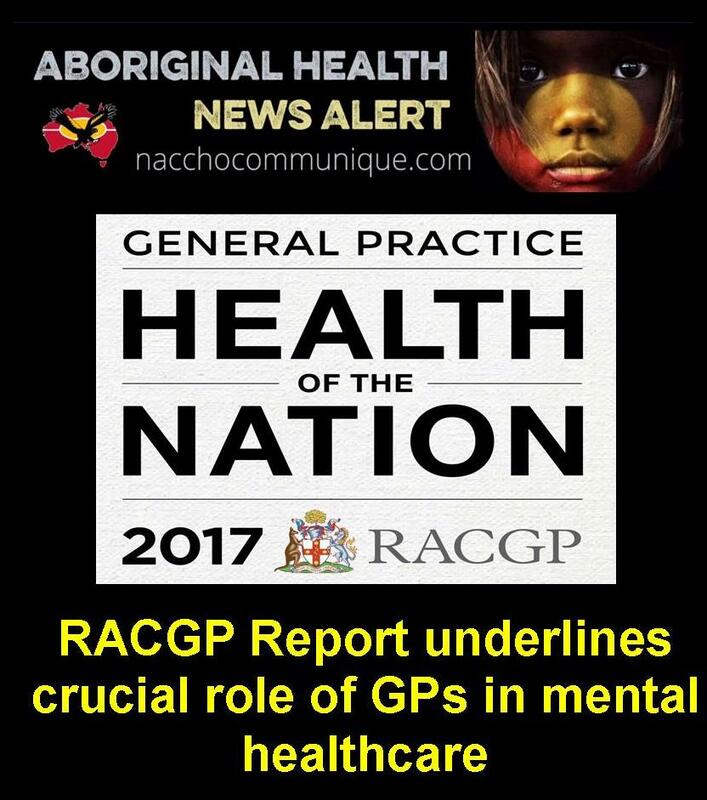 “Feedback from many rural and remote doctors backs up the findings in today’s RACGP report — namely, that there is a significant mental healthcare load in general practice. “And this area of general practice care is growing. A major report released today on general practice care in Australia shows that the most frequent visits to GPs are for psychological care, demonstrating that the sector plays a critical role in helping patients with their mental health as well as physical health. The report, General Practice: Health of the Nation, is the first of what will be an annual insight into the state of general practice in Australia, published by the Royal Australian College of General Practitioners (RACGP). “And under the National Rural Generalist Pathway that the Federal Government is progressing, medical graduates training as Rural Generalist doctors will be able to undertake advanced mental healthcare as a key element of their training, alongside other advanced skills. “Earlier this year, we also welcomed an announcement by the Federal Government that, from November, it will increase access for rural and remote Australians to Medicare-rebated psychological care delivered by video consultations. “Under the change, psychologists will be able to deliver up to 7 of the currently available 10 face-to-face sessions accessed through a General Practitioner. The rebates for these sessions have previously only been available if provided by a GP. 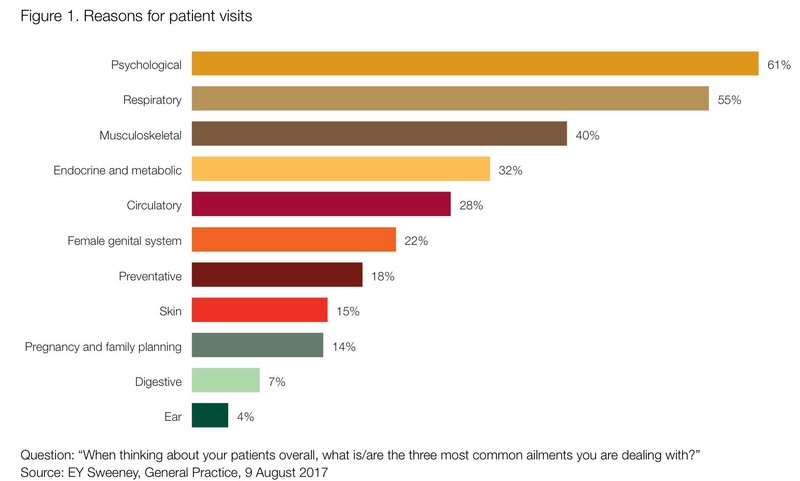 RDAA has supported concerns raised by the RACGP, however, that despite the fact that over 85% of the Australian population visits their GP each year, the general practice sector receives only 5% of the total annual health budget. “This should be sending significant warning bells to governments” Dr McPhee said. The finding that psychological issues are a leading reason patients see GPs highlights the importance of the GPs’ role as the first base for health concerns in the community. The Health of the Nation report released by the Royal Australian College of GPs today reveals mental health issues like depression and anxiety are among the most common ailments reported by 61 per cent of GPs. “That is a disturbingly high figure. It is also the issue causing GPs most concern for the future,” the CEO of the Consumers Health Forum, Leanne Wells, said. “The next most commonly mentioned as emerging issues by GPs are obesity and diabetes. The prevalence of these conditions, all of which raise complex challenges for the most skilled GP, underlines the need for a well-coordinated and integrated health system in the community. “The Consumers Health Forum recognises the GP as the pivotal figure in primary health care who needs more support through such measures as the Government’s Health Care Homes, initiating more integrated care of those with chronic and complex conditions. “At a recent Consumers Roundtable meeting with Health Minister, Greg Hunt, we set out priorities for a National Health Plan to strengthen Australia’s primary health system, making it more consumer-centred, prevention-oriented and integrated with hospital and social care. “We also called for more investment in health systems research, shaped by consumer and community priorities, to stimulate services that reflect advances in health sciences and knowledge. “Too often Australians, particularly those with chronic illness, are confounded by our fragmented health system. “We have world class health practitioners and hospitals. But these are disconnected so that patients don’t get the comprehensive top-quality care that should be routine. “Investing in primary health care led by GPs is the way to a better performing and more consumer-responsive health system,” Ms Wells said.